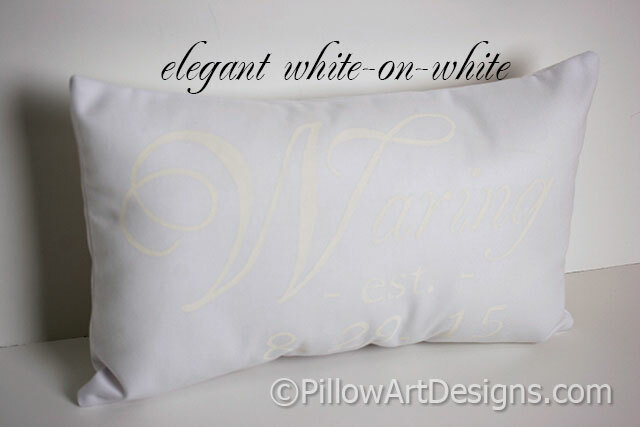 Elegant white on white small oblong pillow measures 9 inches X 13 inches. A romantic and understated romantic look, makes a wonderful engagement, wedding or anniversary memento. 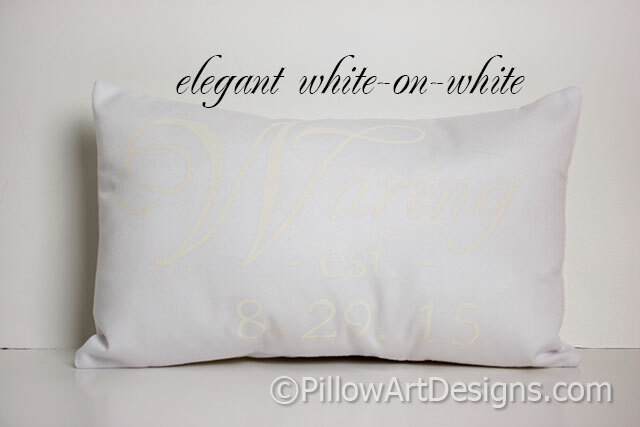 Hand painted in creamy white on white cotton twill, fully lined with white cotton polyester. Name is painted in script font above the word 'est' and the date in numerical format. 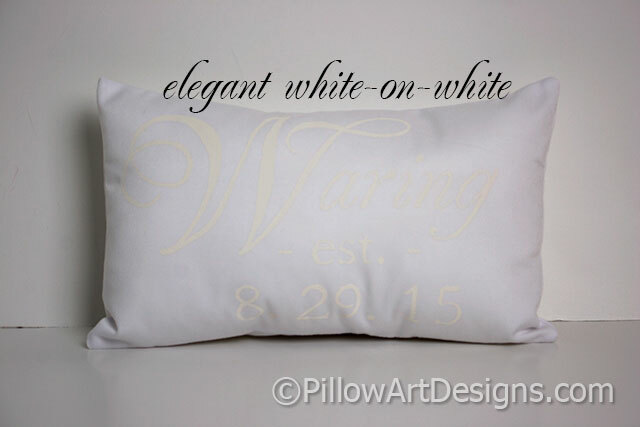 To order, simply purchase this listing and send me a note with the name and the date you wish for the front of the pillow.